John Broadwood was born in 1732. By the age of 29 he had started working as an apprentice to Burkat Shudi who owned a harpsichord workshop in Londonfor many years. Mr. Shudi had quite a following with royalty from the Prince of Wales to Fredrick the Great of Prussia. By the time he had been at the workshop with Mr. Shudi about 8 years John Broadwood married Shudi’s daughter Barbara in 1769. Two years later he started running the entire business and by 1773 had taken full control of the business because Mr. Shudi had passed away. They had begun to manufacture square grands and grand pianofortes and business was doing so well they had to expand their present locations on Great Pulteney Streetand Bridle Lane, Soho. In 1796 at the age of 64 Broadwood accepted a commissioned work for Manuel de Godoy the Queen of Spain, with a case designed by Thomas Sheraton with Wedgwood medallions. It is now in the Museum of Fine Arts in Boston, USA. At about the same as the commissioned work was being finished John Broadwood named his son James Shudi a partner and his other son Thomas followed in 1808 and created the firm John Broadwood and Sons. Thomas Broadwood met Beethoven in August of 1817 in Vienna, and later said, ‘he was kind enough to play to me but he was so deaf and unwell that I am sorry to say I had no opportunity of marking any thing like an anecdote’. 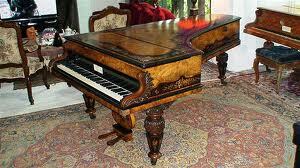 Thomas sent Beethoven a gift of a 6 octave grand pianoforte made from Spanish mahogany. Beethoven was so delighted that he wrote to Thomas in 1818 that ‘I shall immediately send you the fruits of the first moments of inspiration I spend at it’. 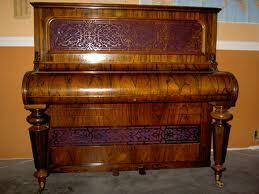 The piano later belonged to Franz Liszt and is now in the National Museum of History in Budapest. So many technological advancements in piano building were made that it became necessary to expand and Henry Fowler Broadwood, the eldest son of James Shudi Broadwood and the grandson of John, joined the partnership in 1836. He helped advance the company so much that by the 1840s around 2500 pianos a year were being made at the factory in Horseferry Road, Westminster. Broadwood and Sons had become one of the largest employers in London. 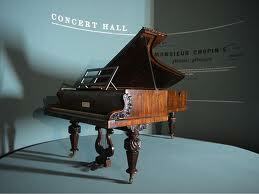 In 1848 Chopin made a Royal visit where he was provided Broadwood pianos. The grand piano no.17047 he used for concerts is presently owned by The Royal Academy of Music and is on loan to the Cobbe Collection Trust in Hatchland Park, East Clandon, Surrey and some other Broadwood pianos are at various collections throughout Europe. The Horseferry Road factory burned to the ground in 1856. The Broadwoods were so determined to continue that much of the money needed to rebuild the factory came out of Henry Fowler Broadwood’s own pocket. The company won many awards throughout the 19th century. Many exhibitions including the Paris Exhibition of 1867 and the International Inventions Exhibition inLondon in 1885. In 1893 Henry Fowler Broadwood passed away and the company fell into a great financial crisis which led to the partnership being dissolved in 1901 and a limited company was put in its place. Some of the family members remained as directors and employees and even Henry Fowler’s grandson, Captain Evelyn Broadwood was chairman from 1931 until his death in 1975. In 1902 The Horseferry Roadfactory was moved to the Old Ford Works, Stour Road, Hackney. 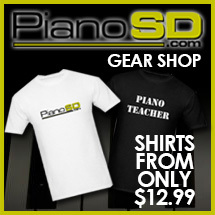 The company then began to manufacture player pianos (Pianolas) and gramophones in the ‘20s. During the First World War the company voluntarily made aircraft bodies and parts for De Havilland and other things for the cause such as ammunition boxes. In a show of solidarity and appreciation King George V and Queen Mary visited The Old Ford factory in 1926. When Captain Broadwood died in 1975, the Broadwood Trust sent the archives of the business and a large number of papers relating to members of the Broadwood family, and their long and illustrious history to Surrey History Centre inWoking. 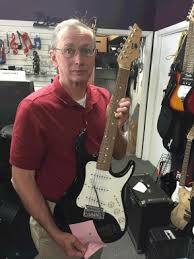 The last recorded Broadwood serial number is from 2003. It is unclear whether they still produce pianos today. VIENNA, AUSTRIA-Brodmann Pianos has come to an exclusive agreement for Piano Social Directory to take control of its social media outlets and internet marketing strategies. “Because of the growing demand for our products and expansion of our brand offerings, it is time to turn our everyday communication lines over to an expert in the piano business with an emphasis on marketing,” says President of Joseph Brodmann Group, Christian Hoeferl. Because of Brodmann’s committment to the piano industry and the music community as a whole, the already impressive quality of pianos will continue to improve along with their newest edition of loud speakers. 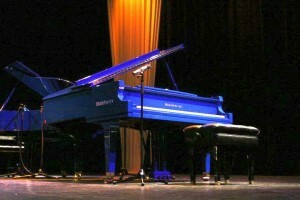 While Brodmann Pianos is the only piano manufacturer that Piano Social Directory will service, they do offer special packages to piano and music dealers including website design, email blasts, and search engine optimization by Max Morgan Design, along with full-blown social media solutions. Max Morgan Design has recently upgraded their web servers in order to handle the expected traffic and improve reliability. 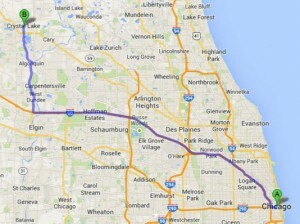 Piano Social Directory uses Max Morgan Design exclusively because of the close relationship the companies have had for several years. Max’s contemporary approach to branding, communications, and social media solutions made him the best choice for a brilliant partnership. Hoeferl and Overton have a desire to “rediscover the pleasure of music appreciation” and will combine their latest expansions in the United States. For more information concerning Brodmann Pianos or Piano Social Directory, please contact Gary Trafton with Brodmann at Gary.Trafton@Brodmann.at or Ric Overton with Piano Social Directory at Ric@PianoSD.com.